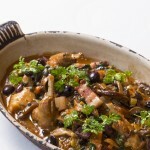 Taste of Game has commissioned a rabbit cacciatore recipe from acclaimed Michelin-starred Italian chef Francesco Mazzei. Franceso, chef patron at Sartoria, in London, frequently appears on popular television cookery shows – including the BBC’s Saturday Kitchen and MasterChef – and is considered one of London’s leading chefs. Annette Cole, Taste of Game development manager, said: “‘It is great to see accomplished chefs working with game and cuts that people often don’t know how to cook. 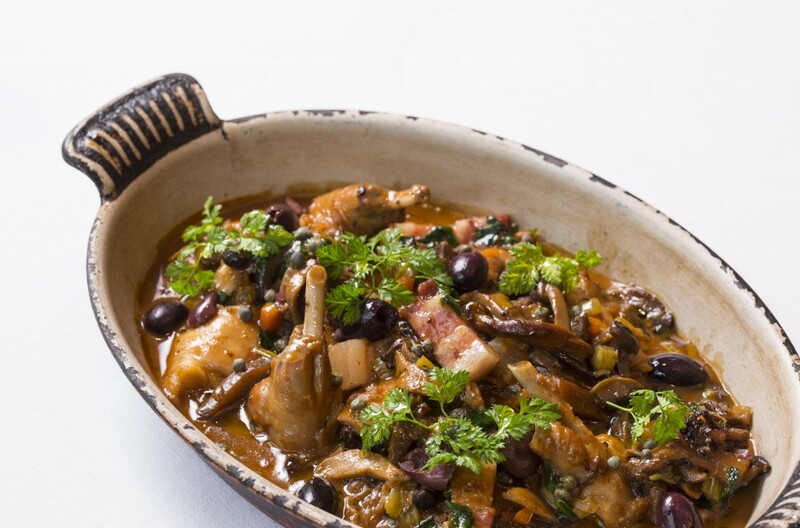 Rich and hearty, this ‘hunter-style’ Italian stew is often made with chicken, but Francesco celebrates the wonderful taste of British game meat by choosing the subtle flavour of rabbit. Cooked with earthy wild mushrooms and salty pancetta, Francesco adds a little extra Italian flair with capers and juicy olives scattered over the top. Francesco features on the Great British Chefs website (www.greatbritishchefs), which is described as a go-to destination for food-lovers in search of recipe inspiration, technical expertise and restaurant news and reviews.